There are times when nothing quite meets the needs of your packaging the way a carefully constructed gift basket will. When that occasion arises, our gift basket products will allow you to make certain your gift baskets beautifully showcase your items. 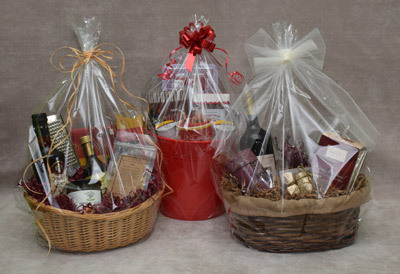 From basket boxes and market trays, gift basket bags and shrink bags to shred and ribbons and bows, let us help you make your gift basket the perfect presentation.